Home › Publicity › Think Getting Publicity Is Not For Your Small Business? Think Again! It’s free! Money spent on advertising can’t touch the built-in trust factor that publicity offers your company — people trust companies that are featured in the news. 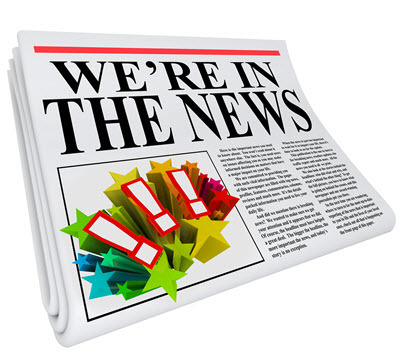 Create an online news release about the story, which adds even more links back to your site. Last week the U.S. celebrated Earth Day. Every national and local news show carried various stories of what people around the country are doing to make a difference. 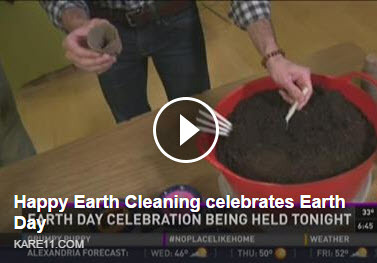 I happened to catch part of the local NBC morning show, and watched with interest as a local cleaning company was featured for an activity they were hosting that night in honor of Earth Day. “Happy Earth Cleaning” was thinking ahead when they came up with the idea for creating an Earth Day event at their place of business. They invited parents to stop by that evening with their children so they could plant seeds. The business provided the peat pots, soil and seeds. The children planted the seeds and took them home to plant in the ground. The event had nothing to do with cleaning, but it gave their business tremendous publicity and exposure in the marketplace. It aired on the morning news show so many families probably caught the story as they got ready for work and school. Since the company provides environmentally friendly cleaning services, they very likely attracted their ideal target market to their event. And since it was held at their place of business, it gave them the opportunity to not only send the families home with plantings, but information about their cleaning services as well. Getting publicity does not have to be that hard. With a little creativity and brainstorming, you should be able to come up with one or two ideas that will increase your chances for exposure in your marketplace. Align your business with a charitable organization and do more than just donate money. Take the lead in participating in fundraising activities and get your entire team to donate their time. Become an authority for news outlets on a topic related to your business. For example, a financial planner can be the go-to expert on investing or financial topics and offer additional insight into related stories throughout the year. A CPA can be the tax expert during tax time. A fitness expert could do a regular fitness spot on a morning news show. Offer pro-bono services. Many residential cleaning companies offer free cleaning to women undergoing cancer treatment through the Cleaning for a Reason Foundation. This is a story that touches many people’s hearts since most of us know someone who has been affected by cancer. Matching gift program. Incentivize your clients and prospects to give to a cause and offer a matching donation. Prize donations for a well-publicized event. IE: Toys for tots donations, book donations for book drives, printed t-shirts for a relay race, free haircuts for a cause. And if you are doing good things for a cause, don’t keep your benevolence a well-kept secret — get the word out. It not only shines a spotlight on your business, it could help you get even more people involved in your cause. One more tip: if you’re generating publicity for your participation in a worthy cause, it must be a cause that means something to you and your employees. Do not do this just for the sake of trying to get publicity. If your heart isn’t in the cause it will never work. Have I convinced you that you’re worthy of getting publicity? If not, read this inspirational story of how one woman started a grass roots movement for a cause that has garnered her business a ton of publicity. I’d like to hear about the types of publicity you’ve received for your company. Please share your comments below.